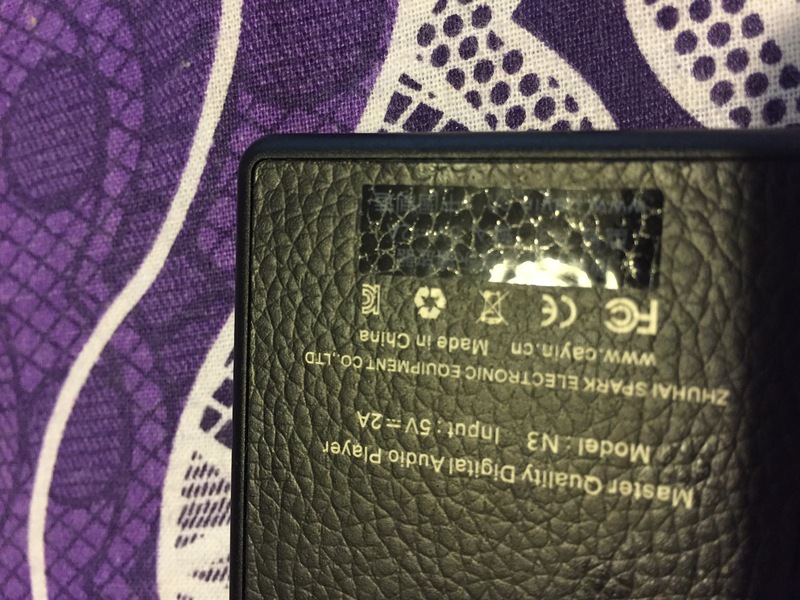 @CayinSupport - There is a little plastic sticker on the leather back of N3 - are we supposed to peel it off? Or doing so will damage the leather? 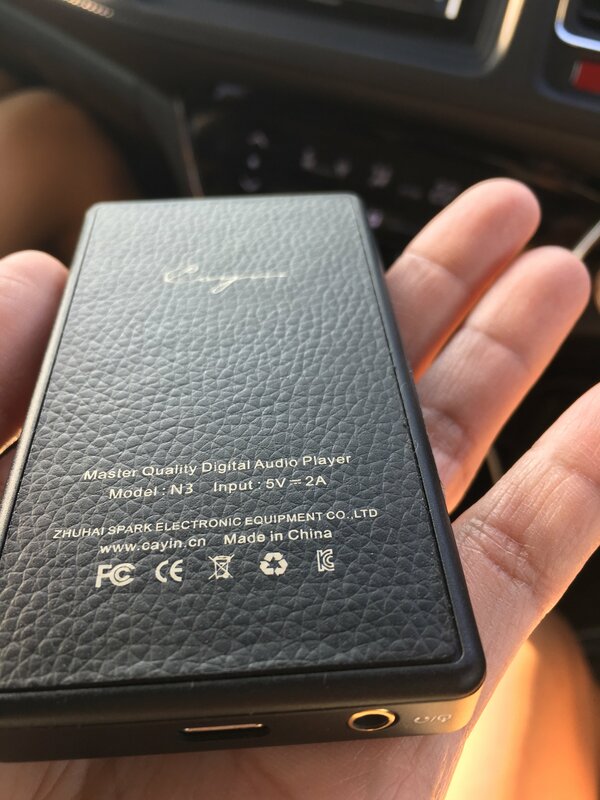 Actually, I am not very clear about "There is a little plastic sticker on the leather back of N3" as I remember there isn't. To get your problem resolved quickly, could you please send us a photo to show it? Thank you in advance! Mine is the same and starting to look messy now the corners are rolling up. I haven't pealed it off yet, like you I worry it will pull the surface of the Leatherette off, or leave adhesive behind. Looking closely there are three lines of text on the sticker. Mostly Chinese writing and some English, Cayin's web address and 5v-2a. Repeating what's printed on the back above. ValSilva, Moodyone and eaglesgift like this. So after updating my new Red N3 to FW 2.1, and playing a few albums on it, I have noticed that track orders for albums with 2 disc are completely messed up (when I browse by album after scanning my media library). Where 1 is the disc number and .01 is the track number from that disc. EDIT: Added "(when I browse by album after scanning my media library)"
Please add a option to set volume to 100 (maximum) when connecting a USB DAC to the N3 and then to the default value when disconnecting the USB DAC. I have to turn it all way up when connecting a USB DAC to the N3 and i almost broke some IEMs when switching from USB DAC to the headphone out because i had volume at 100 and forgot to reduce it. So after updating my new Red N3 to FW 2.1, and playing a few albums on it, I have noticed that track orders for albums with 2 disc are completely messed up. For my file naming, I'm using a dash "-", instead of a period "." between the disc number and track number, and my N3 displays everything in the correct order. Note: I'm not using any characters other than plain English text (no special characters, with accents of any type). As for sorting multiple disc albums, I've yet to find a DAP that does it correctly. I use mp3tag and number the tracks in the other disc in order and combine all discs into one album. For example, Metalica - Hardwired to Self-destruct is a 3 CD album. The first two disc had six tracks each and disc three has 13 tracks I think. I combine them all into on album with the tracks 1 through 25, but they are in order and play as they should. So when you browse them in album mode after scanning media library, the order of the music files is correct when you are using "-" instead of "."? That is actually a bloody brilliant idea!!!! Why did it never occur to me. You're a genius! Btw, anyone knows if I have scanned my media library, can I remove them (i.e. back to the state when I first got my N3, meaning there is no scanned media library and artist, album, genre list are all blank)? If this can only be done through a reset of the player, how should I proceed? Thanks, but I'm not sure I'm a genius...lol. Just trial and error over the past few years to make it work. Hi,may I know what is the format of your TF card? could you please try FAT32 TF card again! Many thanks for your time! Hi, the format shows - File system - exFAT. Do i need to change it to FAT32 ? I'm attempting a scan of the music on the memory card in my N3 right now... - ...and after it finished, I checked the Track order on one of my 2-CD Albums. It does not list the Tracks in the correct order. They're listed by just their Title (which doesn't include the Disc-Track info of the filename). I guess I haven't noticed this before, since I normally use the "Browse by Folder" method for accessing my music. In the Folder view, the files are listed correctly, by filename (which includes the Disc-Track info at the beginning of the name).